The account we have just heard from St. Matthew’s gospel on this, the Feast of the Epiphany, is RICH – SO rich that it requires symbols in order to carry its weight. Using the language of science or history or other secular sources simply cannot carry the burden of this message. The gravity of what is being carried is too heavy and the bridge would collapse. So, as always, it is ONLY the language of art and poetry that can comprise a bridge built of symbols – a bridge STRONG enough to carry the weight of the reality being conveyed in this story of the three kings. Oh, we could waste time trying to figure out exactly WHO these mysterious kings, these magi, really were, how many of them actually came (notice that the bible doesn’t give you the number – although they are always shown as 3), where they came from and so forth. The bible, we again must recognize, is NOT a book of astronomy, physics, biology, or nthropology. It is a book of theology. It does not deal with “how?” questions – it deals with “why?” questions, questions having to do with the purpose and meaning of events in our relationship with and our understanding of God. So, with THAT perspective in mind, I turn now to this Gospel account from St. Matthew and call your attention to the CENTRAL word in his story, namely the word homage which is used three times in today’s gospel. The movement – and CENTRAL point – of this gospel passage revolves around “doing” or “paying” homage. We “modern day people” no longer recognize the meaning and purpose of homage. In earlier times, it was a public act, a public acknowledgment of the submission of one’s self in allegiance to another. When one renders homage to another one enters into a commitment – a commitment to engage in the purpose and mission of that other. Sub-mission means to be a part of a mission – part of a purpose. Perhaps this idea is strange to people who see only SELF-affirmation and taking care of the needs of one’s self as their only purpose in life. Present-day Americans that we are, MANY of us tend to see only self enhancement, individual rights, self-affirmation, and self-esteem as essential – anything else being merely optional and elective. Yet, for these magical kings, Homage was the SOLE reason and purpose of their quest. And to consummate their contract – to provide the consideration to make their contract real and binding, they bring their gifts of gold, frankincense, and myrrh. Gold symbolizing the ROYALTY of Christ; incense symbolizing the mystery of Christ; and myrrh symbolizing the ONE thing we all share in common – and which the Christ-child would profoundly share with us as well – HUMANITY – including DEATH. The shepherds at the manger represent the Israelites, the People of God of the Old Testament. Where the shepherds go, we follow and with them come to recognize in the Christ Child, God’s Anointed, the Christ – the Messiah who fulfills ALL the Old Testament’s prophecies and ALL of God’s promises repeatedly made to us since the great fall of Adam and Eve. The Magi, the leaders of the Gentile people, lead us likewise to the Savior – the Savior of ALL the world’s people. They come to do Him homage, bringing with them the whole world to give Him worship – to give Him homage. Ironically, we find the word homage likewise on the lips of King Herod – that wily, devious, lying monarch who, in claiming he also wants to give homage is lying through his teeth. Of course, HIS god is NOT the God of Abraham. Herod’s god is a pagan god named Power. And those who worship THIS god are doomed to lie, cheat, corrupt – to do whatever it takes – maybe even KILL – just to have that power. And tragically – they end up not in possessing power – but in being possessed BY it. This is SO much so with Herod that he murders all the male babies under two years of age throughout Bethlehem. That event is forever known in infamy as the Slaughter of the Innocents. THIS was done in homage to appease the god that Herod REALLY worshiped — the god of Power. In later chapters in St. Matthew’s gospel we hear the word “homage” again – once from the lips of the devil himself who, in his third temptation of Christ out in the desert, generously offers Christ sovereignty over all the kingdoms of this world (note here that the devil has them – they are his to offer! ), if only Christ would fall down and give him homage. Satan asks Christ to do what the Magi did at the manger – namely prostrate himself and do him, the DEVIL, homage. And then we hear of the pagan – non-Jewish Canaanite woman whose daughter was tormented by a devil, who falls on her face in front of Christ and does Him homage asking that He heal her daughter. And finally, in the Garden of the Resurrection, we find Mary Magdalene embracing the feet of the Risen Christ, doing Him homage. 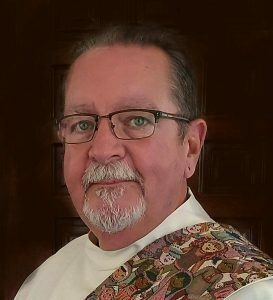 Very often, when I talk with LAPSED Catholics – and I was one of them for nearly 30 years – I would hear the complaint, “I don’t go to Mass because I don’t get anything out of it.” Perhaps, those who feel that way have forgotten the REAL reason for coming to Mass is NOT to be entertained but to worship – to give honor, reverence – and homage – along with all other Christians who, from the very BEGINNING, knew why they were coming into the presence of God. Did those who FIRST came to Christ do so in order to GET something – or in order to give their gifts to the Christ? My brothers and sisters – WE are here today to give the Son of God gifts far more precious and superior than gold, frankincense and myrrh. We are here to give Him our love and devotion – our reverence and our respect – our worship, and our homage – our homage to the King of ALL earthly kings. And as for “getting something out of Mass” what could possibly surpass receiving His very own Body and His very own Blood in return? Homage, honor, devotion, worship, respect and dedication – these are ALL things that seem to be rapidly disappearing from our darkening, modern world – and our own American culture. All the more precious, then, is our gift – and more importantly, perhaps, our example to those around us – those who badly need to recover their OWN sense of giving homage and worship to the One who alone can save the world in which we live. So today on this Feast of the Epiphany of Our Lord, together NOW, let us recommit ourselves and be joined in Christ’s mission in our world and follow in the footsteps of the shepherds and the wise men of old.